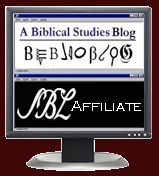 I've just completed a somewhat lengthy review of Thomas Naef's Holy Bits: A Guide for Using Computers in Biblical Scholarship. Instead of posting it all here, you can read/download the PDF. Though it is a review, I actually write more as a dialogue partner with Naef and suggest some alternatives to his suggestions. The title hints at the rather wide range of the topic, so I suspect you will discover some sites or applications of which you are now not aware. If you have other suggestions, leave a comment here or go to the book's site and leave a note for Naef himself.